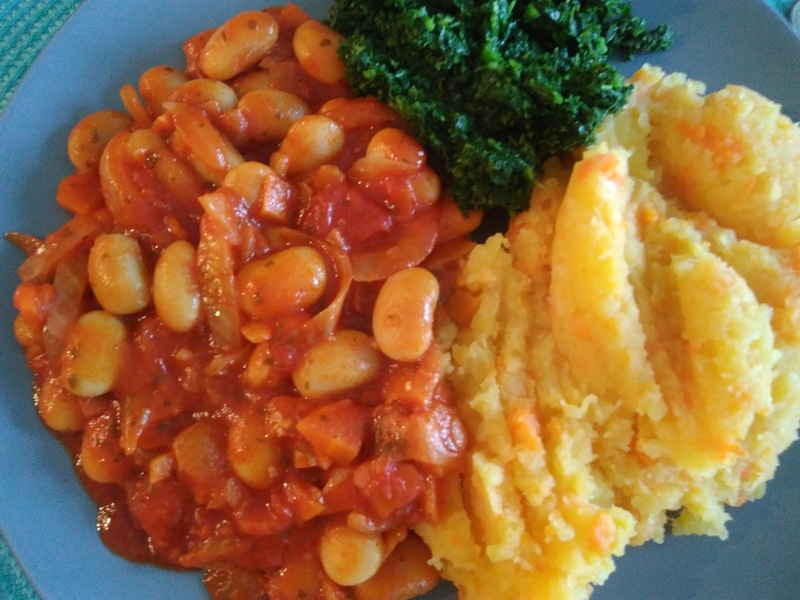 humangoVeggie: Mashed roots with white beans "cebolada"
Mashed roots with white beans "cebolada"
1) Peel the turnip, sweet potatoes and carrots and cook them in water until tender. 2) Drain the roots, and then place them back in the pan. 3) Mash everything with the margarine, the rice milk, salt and nutmeg. 1) For the tomato sauce, heat the olive oil (1 tbsp) in the frying pan, add the onion and gently fry until softened but not coloured. 2) Add the tomato and simmer for 5 minutes. Season to taste. Add the cooked beans and cook for 5 more minutes.